There is no better way to raise fish into your spread than with a natural bait dredge. 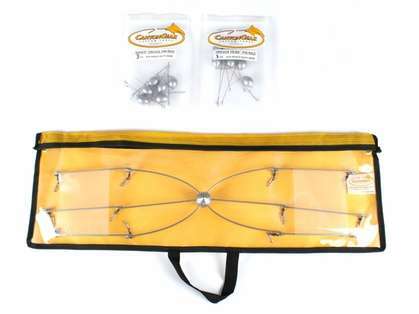 The Canyon Gear Pro Bally dredge is a ready to fish natural dredge, just add ballyhoo or mullet and you are set. 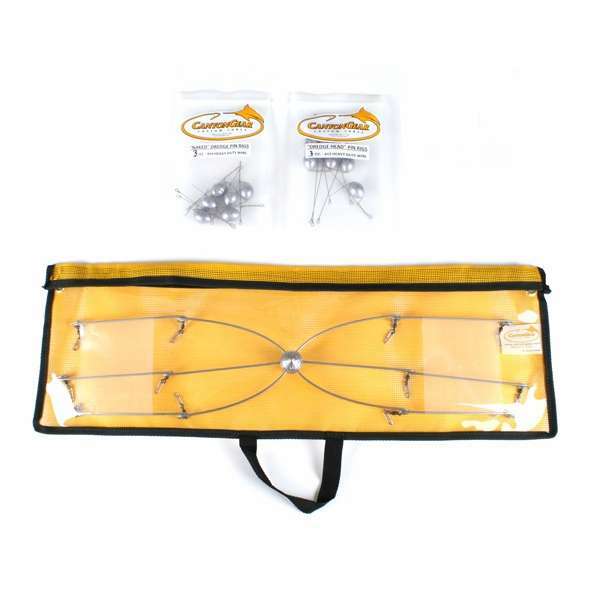 The Canyon Gear Dredge Pins, which are included, makes bait rigging fast and easy. 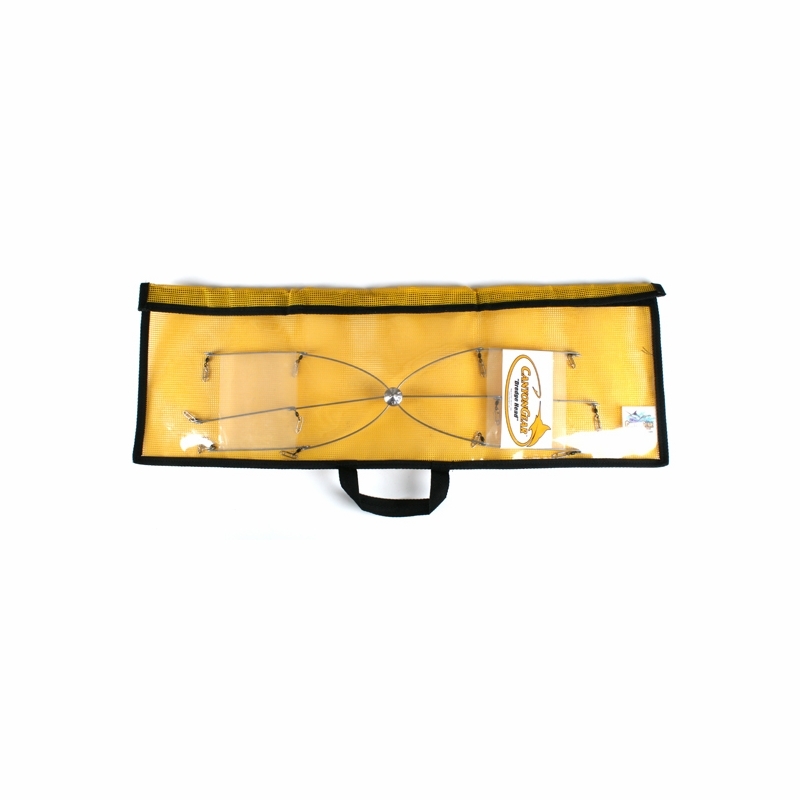 The pre-attached speed clips also makes attaching the dredge pins to the dredge effortless. You may connect two or three of the dredge arms in a row to mimic a larger bait ball.